There is seemingly no end in sight for the New York Yankees when it comes to their injury woes. 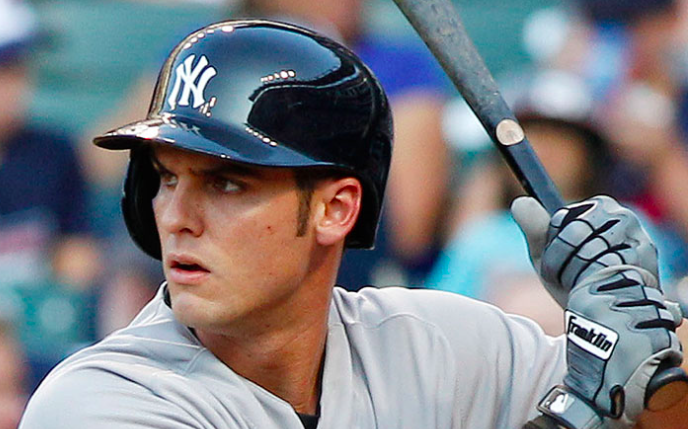 The list of players on the Injured List grew again on Tuesday with first baseman Greg Bird. The addition of Bird gives the Yankees a full dozen players on the IL, many of whom would be everyday players for the club if healthy. Bird was placed on the 10-day IL Tuesday morning because of a plantar fascia tear in his left foot. The Yankees expect Bird to miss at least a month of action. He’ll spend the next 10 days in a walking boot before he starts to do any kind of baseball activity. It’s just the latest setback for the promising young hitter. Bird missed all of the 2016 season because of a shoulder injury. He’s also missed time the past two seasons with ankle problems. Amidst all of the injuries the past few seasons, Bird has struggled to produce. He broke out in a big way as a rookie in 2015. However, he’s hitting under .200 since that season. Prior to going on the IL Tuesday, Bird was hitting .171 with just one extra-base hit in 35 at-bats this season. Nevertheless, the Yankees will still feel his absence with so many other key players missing due to injury. Taking Bird’s spot on the roster is Mike Ford. The 26-year-old first baseman was a Rule 5 draft pick of the Mariners last year but failed to make the opening day roster and was returned to the Yankees. He’s gotten off to a scorching hot start in triple-A this year, hitting .410 with an OPS of 1.364 through 10 games. In that short sample, Ford has hit five home runs and four doubles while driving in 14 runs. He’ll now get his first crack at playing in the big leagues. It’ll be interesting to see how playing time is divided while Bird is out. Bird and Luke Voit have shared time at first base early in the year with Voit getting most of his at-bats as the DH. Despite hitting just .204, Voit has four home runs early in the year and should be in the lineup most days. But with so many players on the IL, the Yankees don’t have many options for the DH spot outside of Voit. That could open the door for Ford to see plenty of action at first base. Of all the players the Yankees have on the IL right now, Bird may be the least important. That’s not necessarily a reflection on him, as the Yankees are also without the likes of Aaron Hicks, Giancarlo Stanton, Gary Sanchez, and Miguel Andujar. But with so many players already taking up space on the IL, the Yankees need all hands on deck. Losing Bird is just one more absentee hitter that will force Boone to reshuffle his lineup as the Yankees try desperately to find their footing in 2019.